The first of large and heavy structures, the Garage, was moved today to the new site. The building is based on its own, built in skids. 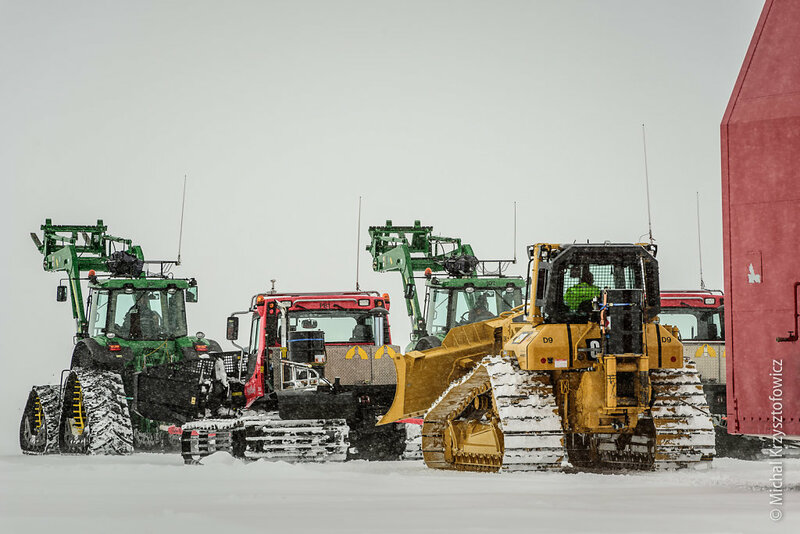 Due to its weight, towing it requires a total of six vehicles, working in unison: a pair of John Deere tractors, a pair of the Pisten Bullies and a pair of Caterpillar D6N bulldozers. Each set of three vehicles was connected to the front of each skids, as well as to each other, using tow cables and chains. The 25 km journey took 3 hours.